ESSA Award 2016 "Top 25 Influencers in Exercise and Sports Science in Australia in the past 25 Years"
Senior Lecturer in Exercise and Sports Science at RMIT University and National Institute of Integrative Medicine for over 20 years. Accredited Exercise Physiologist (AEP) and Accredited Exercise Scientist with over 15 years’ experience specialising in providing individualised exercise therapy for the prevention and management of chronic medical conditions, injury rehabilitation and lifestyle management. Qualified Physical Education teacher, Pilates instructor, hydrotherapist and personal trainer and TAFE lecturer and course writer for Nationally accredited Fitness Industry Courses. AEP and Pilates Instructor at Noosa Physiotherapy Centre and The Pilates Studio in Noosa Junction. 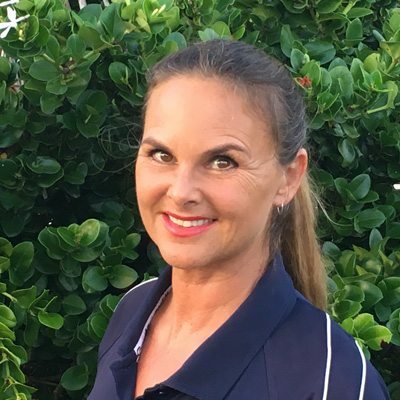 Maryanne is passionate about training her clients and providing individualised behavioural motivation to assist them to achieve a healthy and active lifestyle. Maryanne enjoys swimming at the beach, aquatic activities, snow skiing, weight training and beach walks, and is an active Surf Lifesaving member.